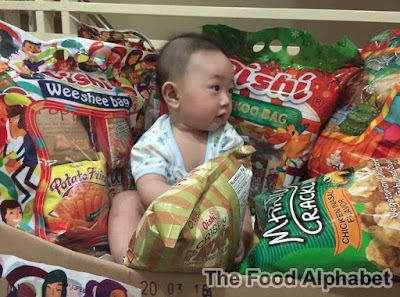 The Food Alphabet and More: Making Christmas season more special with Oishi's O, Wow! 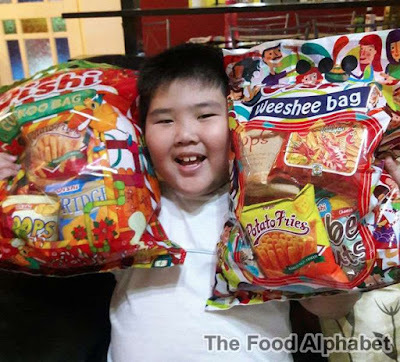 Christmas bags!!! 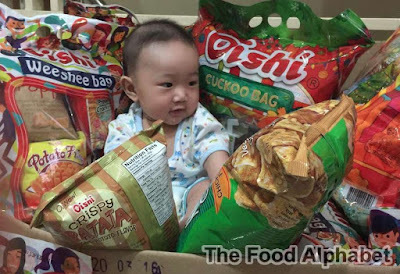 The Christmas-themed Oishi Cuckoo Bag contains 14 assorted snacks and a premium item, priced at only P100. The Weeshee Bag contains 10 assorted snacks and is priced at P64. (Prices may vary) These gift bags are now available at your local supermarkets nationwide. 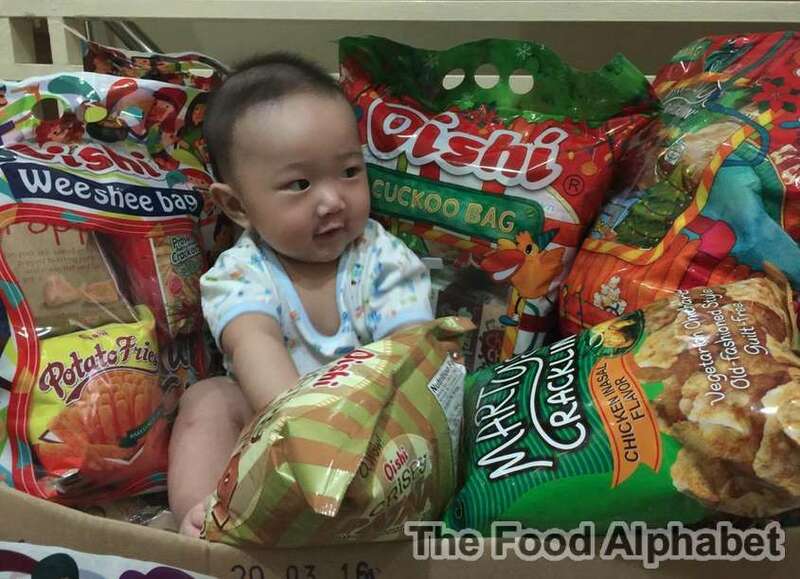 Just look at the excitement on the face of my nephew Zack! He got 2 packs!!! 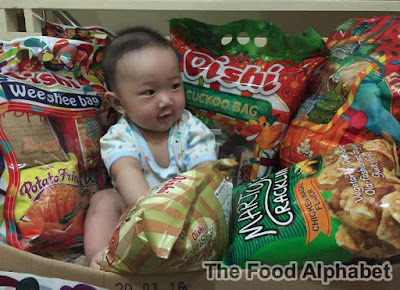 And just look at my baby Skyler, so full of happiness, can't wait for him to take a bite soon of Oishi's snacks and treats!!! 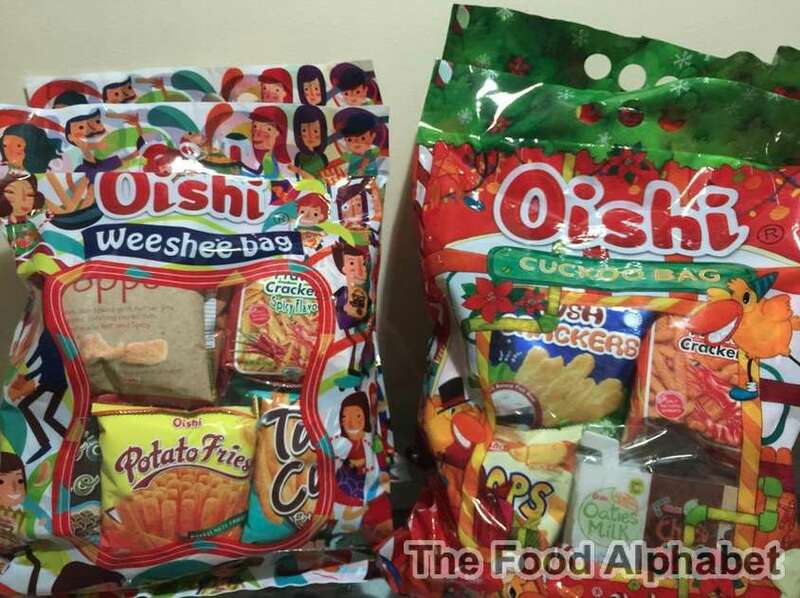 Go get your Oishi Christmas packs today to give to your loved ones for an O, Wow Christmas!